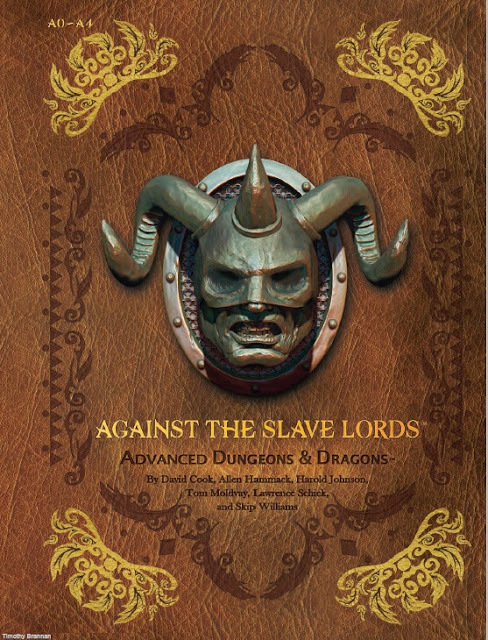 2016 starts out with a bang as WotC gives us the reprint of Against the Slave Lords in PDF. I just grabbed it (since that is the adventure my kids are now going through) and it looks exactly like the print copy. I has the A1 to A4 adventures and the introductory A0 adventure. Sadly not the A5 adventure, The Last Slave Lord. I can now print out maps and mark them up all I like! I put those two down as gnome-halfling and gnome-dwarf. Their noses are too big for dwarves and Halflings.